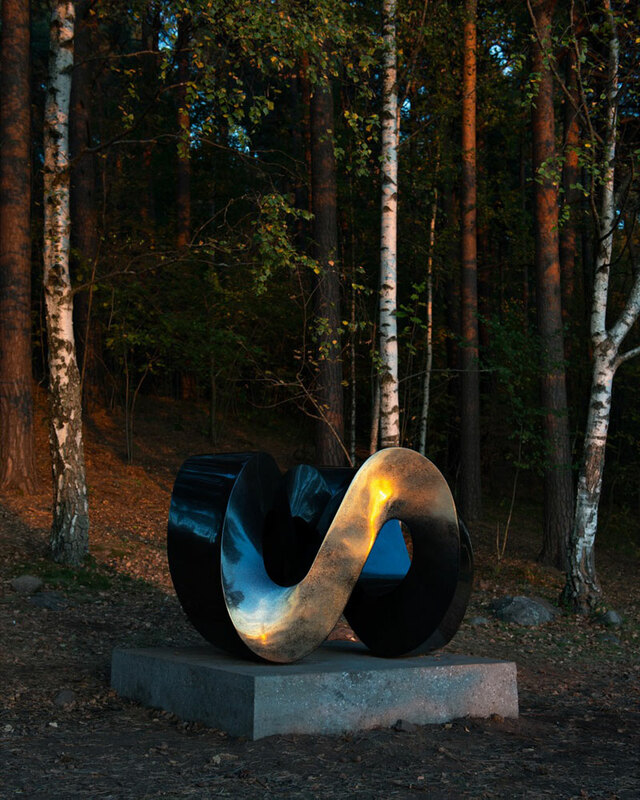 No institution in the Norwegian capital – municipal, commercial, or cultural – is complete without at least one public sculpture. 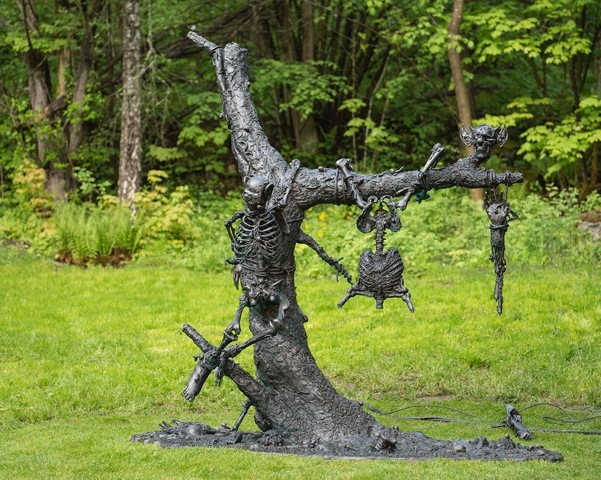 Every gallery or collection spills out into some variety of sculpture park, usually refined in style but often adventurous as well. It is a quiet reflection of this city’s remarkable commitment to transparency and equality: the art is there, and there for everyone. Across the Oslofjord from the city, however, both the sculpture and the accompanying rhetoric get a lot louder. Here is Ekebergparken, the lavish gift of real-estate mogul Christian Ringnes to the city: 63 acres of serene woodland, managed in partnership with the Oslo municipality, and populated by sculptures plucked from just about every style from the last two centuries. It is a disorientating experience. If, at first, you see a neoclassical Renoir or Rodin reclining on the lawn, don’t allow yourself to settle in. 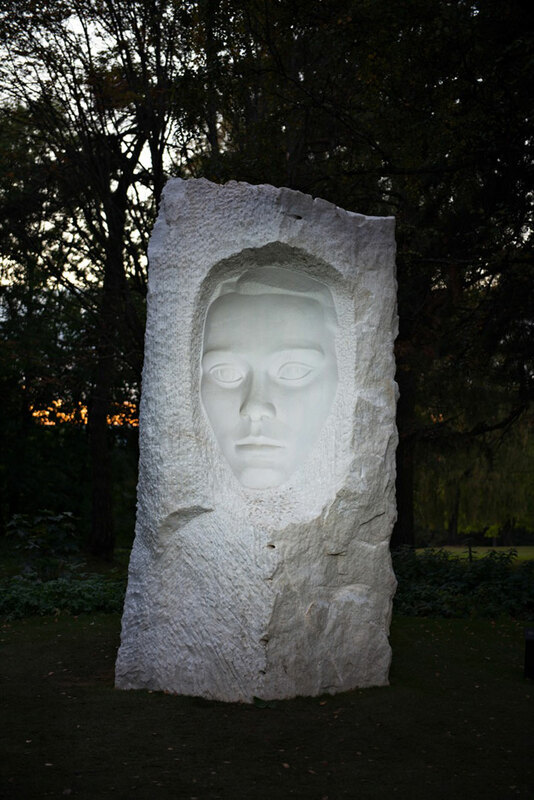 A few moments later you may stumble across a nightmarish Tony Oursler in a wooded glade. Likewise, the dramatic forms of Louise Bourgeois or Norwegian sculptor Aase Texmon Rygh will be undermined by an insincere trompe l’oeil from Sean Henry or Hilde Mæhlum. 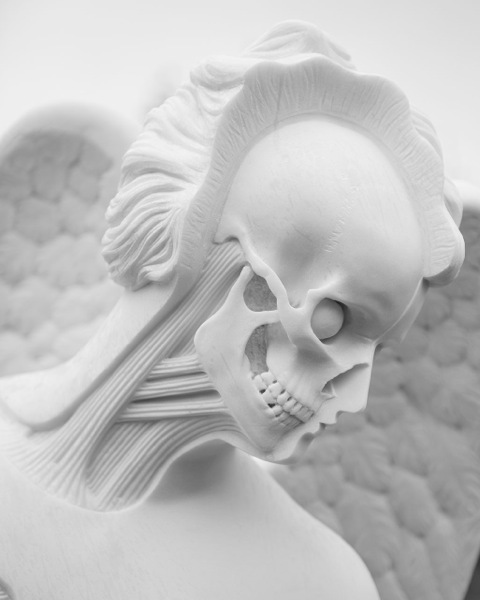 The two new YBA works unveiled this year, by Jake and Dinos Chapman, and by Damien Hirst, add another layer: both appear to use traditional materials and forms, until on closer inspection they deteriorate into tacky, grotesque replicas. 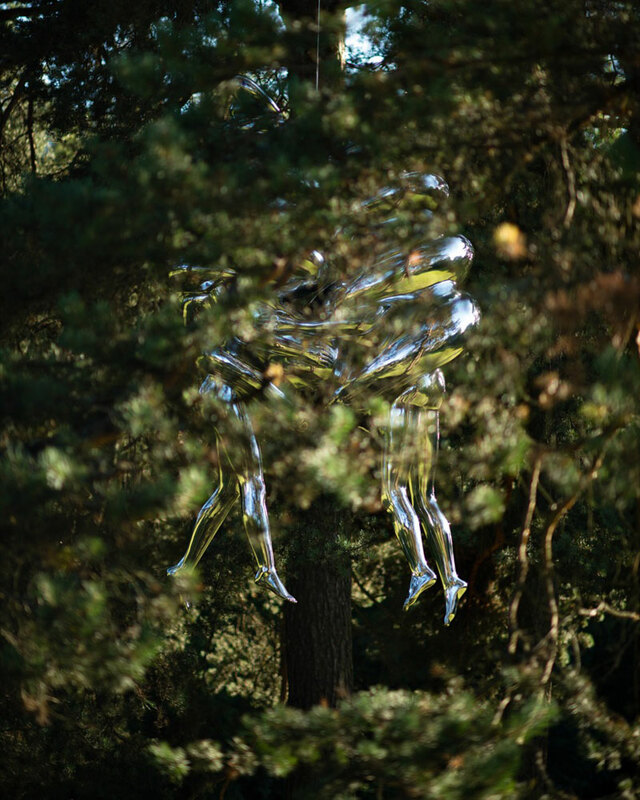 There is even an abundance of site-specific room-sculptures, so that you have different ways not just of looking at art, but also of looking out of art at the surroundings. 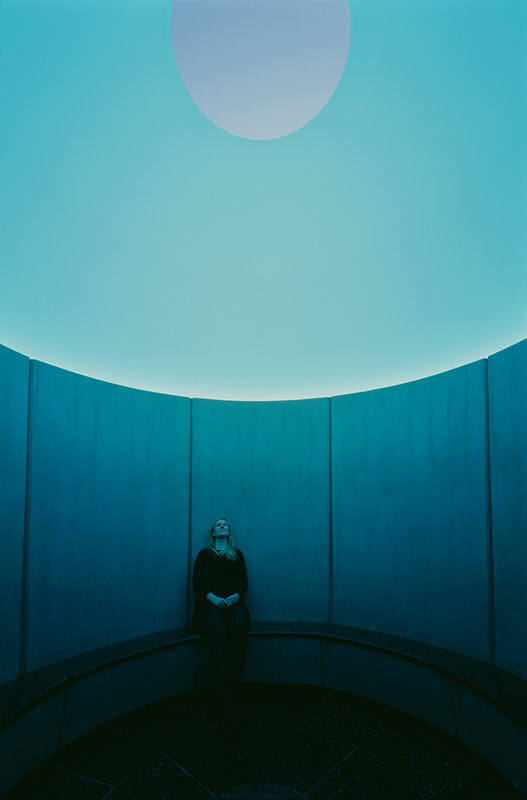 There is Dan Graham’s glass pavilion, Per Inge Bjørlo’s claustrophobic steel bunker, and a James Turrell ‘Skyspace’ dug in beneath a small pool. Does this scattergun approach work? Only, I think, if it is truly embraced. The park’s nominal theme is ‘the feminine in all its varieties’, which raised a few eyebrows and now is only cursorily applied. A highlight of my visit was seeing Jake Chapman trying to explain how his work fits this theme (a theme of which he was unaware). The park would do better to emphasise the incongruity of its works: this could become a bold representation of the pick-and-mix approach to history that is so defining of our own era. Interestingly, though, the character of the park is a reflection of its funding model as much as anything. The cultural and legal climate in Norway is deeply suspicious of private money even when, as with Ekebergparken, no profit is involved. There are no tax incentives for cultural donations, and the arts are almost exclusively state-funded from major projects down to the grassroots. But with state funds, of course, there are regulations surrounding how much can be spent and in what way. A donation such as Ringnes’s, on the other hand, allows much more freedom. Ringnes faced close scrutiny from the media while his 300m Kroner gift (about £30million) was under discussion. He is proud of overcoming opposition to his plans, saying: ‘I have made a lot of money in Oslo, and in my family we believe that you give something back.’ As more private investment arrives in the arts here, it is interesting to speculate whether the city’s public sculpture will follow the example set by Ekebergparken. 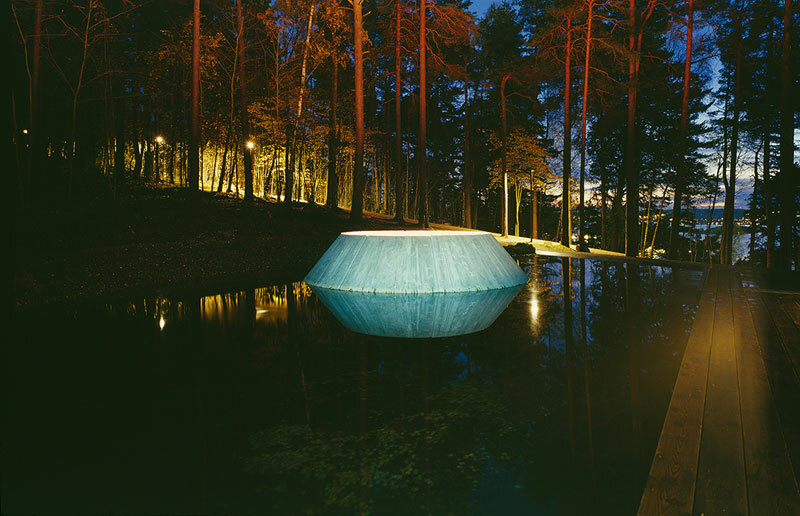 For more information about Oslo’s Ekebergparken, visit the website.